When you run your own business, times like the present — when there is a lot of uncertainty about health care policy — can be challenging. Many self-employed Americans are already struggling to pay for insurance and medical costs. And it's hard to predict whether your premiums or out-of-pocket costs will rise substantially in the near future. So how do you insulate yourself? There isn't an easy answer, as I found during the roughly 10-year period when my husband and I were both freelancers raising four children in New Jersey, a very high-cost state when it comes to health care. (Last fall, he went in-house with a client, so now we get our health care through his job.) This is what worked for us. If you don't use a lot of medical care, you may find yourself over-insured with a PPO plan. 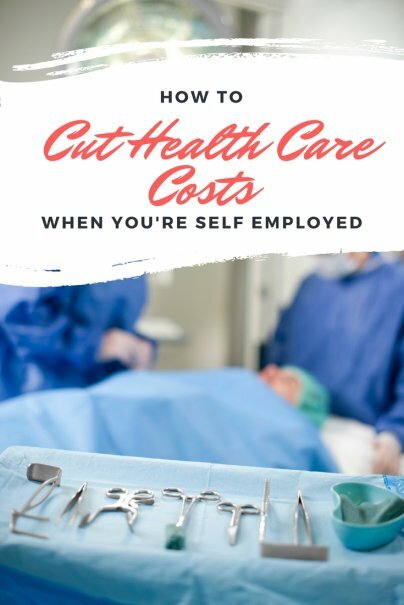 Generally, if you're self-employed, the most affordable option is a high-deductible health care plan (HDHP), which allows you to open and use a health savings account (HSA). The premiums for an HDHP tend to be lower than those for a PPO plan. Like most health care plans, an HDHP will completely cover preventive health services such as routine physicals and vaccinations — meaning you don't pay anything. However, there's a catch. Outside of preventive care, with a high-deductible plan you need to pay a certain dollar amount of medical costs — your deductible — before the plan starts covering your medical expenses. Often the deductible for an HDHP is thousands of dollars. A health savings plan can help you save for those medical costs in a tax-advantaged account, which is only available to people who have an HDHP. To use a health savings plan, your insurance plan's annual deductible in 2017 must be at least $1,300 if you're an individual, or $2,600 per year for a family plan (these numbers are adjusted every year). To be sure, it is not easy to come up with the money to fund an HSA, especially if you are a freelancer with uneven income. We have funded ours by cutting down on extras. Sometimes making a small change, like switching to a better mobile phone plan, can make a difference. Even if you can only put in a quarter of the amount you're allowed and gradually increase the amount you contribute each year, you'll be further ahead than if you don't put anything into an HSA. There have been many cases over the years where the medical community has revised evidence-based recommendations as new information has become available for treating particular conditions. Given that reality, I've realized that there are many gray areas in medicine and have taken time to get second opinions any time a family member is advised to get a test or treatment that comes with risks or could be very costly. Sometimes, the doctor giving me a second opinion will suggest a way to tackle a problem using a simpler, less expensive solution that I haven't considered. I've found that functional medicine doctors can be fantastic allies in this respect. These MDs tend to be oriented toward finding the root cause of a problem so you can eliminate it, rather than simply treating the symptoms. Some don't take insurance, but there are a few who do, so it's worth asking health-oriented friends if they know one. Sometimes, it's even possible to shop around for medical procedures, despite the general lack of transparency in U.S. health care costs. I haven't personally used it, but the site MDsave, which one entrepreneur highly recommended to me, allows you to compare prices and pay for medical procedures in advance at prearranged prices. There are also a number of other websites that let you compare medical costs. None of us has total control over our health, but by doing what you can to eat well and stay fit, you can at least reduce your chances of developing health problems that have a lifestyle component or mitigate the harm they cause if you already have developed one. Many chronic conditions can be very costly, as a recent survey by the International Foundation of Employee Benefit Plans pointed out. Employers who completed the survey said the number one condition impacting their medical costs was diabetes, cited by 41 percent of respondents. Obesity, heart disease, and hypertension/high blood pressure were also among the top 10 medical costs. These steps do take some effort, but they can pay off in lower health care costs. That's a big benefit if you're paying for your premiums and medical bills on your own.